What can I do with the container layer? With the container layer you can group layers together and move, rotate and scale them as one. How do I create a container layer? Choose LAYER > Add layer > Add container layer... to create a new container layer. The new container layer can be selected from the layers dropdown to make it the active layer. The installer comes with shows demonstrating the possibilities of the container layer. Choose FILE > Open show... and select a show from the BluffTitler/Media/Shows/Container folder. The container layer does not render anything, it only groups layers together. And when you delete a container layer, all attached layers are deleted as well. It is useful in situations where you would like to animate several layers at the same time. 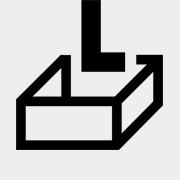 When you move, rotate or scale a container layer, all layers that are attached to this container layer are automatically moved, rotated and scaled as well. Make the container layer the active layer before creating the new layer. Choose LAYER > Attach layer > Detach active layer. Make the container the active layer and choose LAYER > Add layer > Add container layer. The position of the container layer. The rotation of the container layer. The point around which the container rotates when animating the Rotation property. The size of the container layer. The transparency of the container layer.